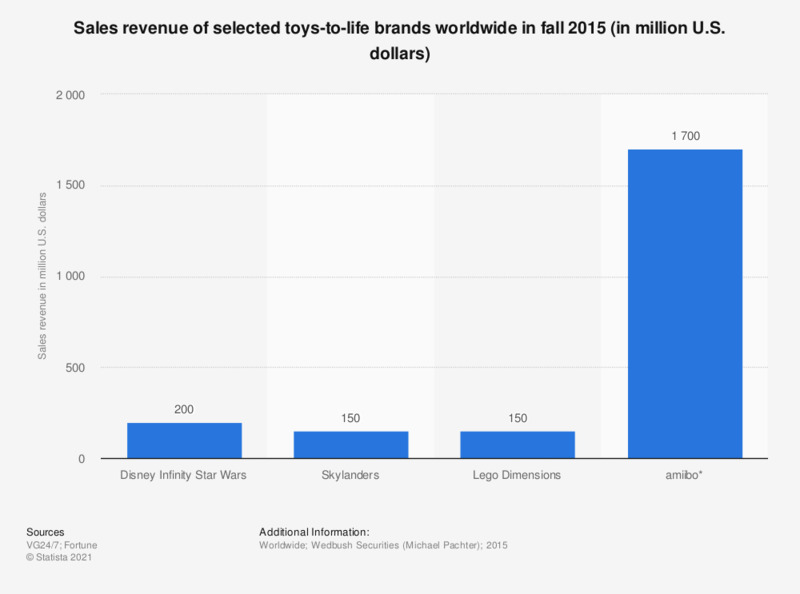 The statistic presents the sales revenue of selected toys-to-life brands worldwide as of fall 2015. According to estimates, Disney Infinity 3.0, the Star Wars edition, sold 200 million U.S. dollars worth of merchandise in the presented period. * Nintendo did not report revenue figures for the fall 2015 sales. Figures shown are for the six months ended September 30, 2015 and are available here. Figures as reported by various sources. From what age do you think a child should be allowed to own a smartphone? From what age do you think a child should be allowed to own a tablet?